Hey dolls, it's that time of year again: craft show season! Berry Sweet Treats will be a vendor for TWO fantastic holiday shows. Craftstock Craftcrawl 2014 on Saturday, November 1st, 2014 (9am - 3pm) at White Oaks Secondary School - 1330 Montclair Drive, Oakville, Ontario L6H. 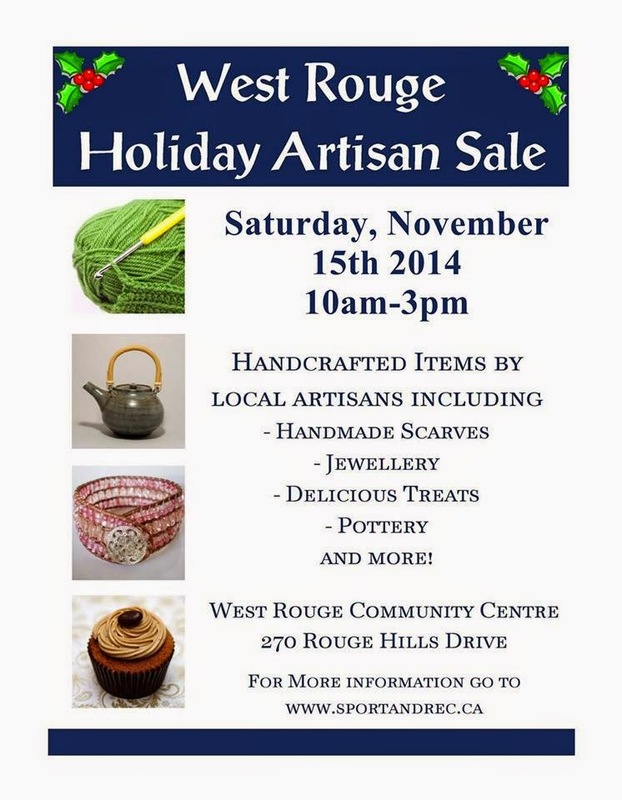 2014 West Rouge Artisan Holiday Sale on Saturday, November 15th, 2014 (10am - 3pm) at West Rouge Community Center - 270 Rouge Hills Drive, Toronto, Ontario M1C 2Z1. Check out both of these event details here! Almost at 400 Facebook "Likes"!